In this post I will discuss two recent articles that together make the case that pressure injuries might be a manifestation of a human biological warranty. 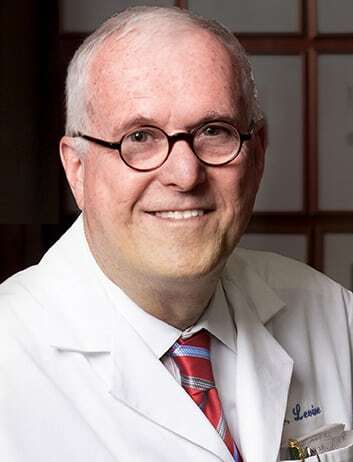 The first is Unavoidable Pressure Injury: State of the Science and Consensus Outcomes, published in the Journal of Wound Ostomy Continence Nursing (JWOCN), and the second is How Long Must Humans Live? from the Journals of Gerontology: Biological Sciences. These articles come from widely divergent sources but when placed side by side there are insights about pressure injuries and the burning question of avoidability. The JWOCN article is a literature review that provides a convincing argument for unavoidability of many pressure injuries. This contrasts with the traditional but outdated view that pressure injuries always reflect poor quality care. The second article makes a persuasive case for a human biological warranty period. This warranty is similar to the one that applies to automobiles and appliances, which informs us that after expiration there is limited life expectancy and increased probability of breakage or dysfunction. There are no guarantees after warranty expiration, and humans can expect decreased health and vigor, increased number of diseases, and a rise in mortality. 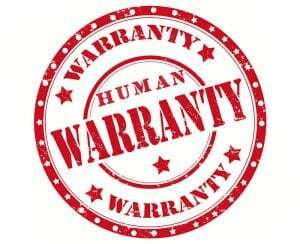 The authors use several lines of evidence to identify the biological equivalent of a human warranty period. They define our warranty as the window of time to achieve the biological mandate of growth and reproduction – also known as Darwinian fitness – and conclude that this interval is approximately 50 to 55 years long. Following the warranty we enter a time that is essentially an “artifact of domestication,” quoting the biogerontologist Sir Peter Medawar. Human ingenuity, as reflected in medical technology and advances in public health, has endowed us with an unprecedented life expectancy far beyond the expiration of our warranty. Just like the new car that we drive off the lot, trouble often begins once the warranty period is over. Mortality and morbidity accelerates modestly in the sixth decade of life, then at a steeper rate in the seventh decade. Here we enter the zone that geriatricians know so well, with patients who have multiple comorbidities and dysfunctional organ systems, who survive in the face of technology and pharmaceuticals that extend life but do not provide cure. After expiration of the warranty, combinations of musculoskeletal, neurological, and organ system diseases lead to decreased mobility and the consequences of such. This includes geriatric syndromes such as falls and fall related injuries, and chronic wounds such as pressure injuries. Medical and public health advances have endowed our species with an extended life expectancy. But for many, increased years bring disability and chronic illness. It is now accepted that many pressure injuries are unavoidable occurrences that are markers for late life comorbidity rather than consequences of poor quality care. Could it be that skin failure and pressure injuries are just things to go wrong after expiration of the human warranty? Perhaps, but we now have the opportunity to improve prevention techniques and technologies so that pressure injury prevalence does not increase at the same rate as the aging population. That is one of the many challenges that face today’s practitioners of the art and science of wound care. Pressure Ulcers as “Never Event:” Fact or Myth? Download my article: The Unavoidable Pressure Ulcer: A Retrospective Case Series. Carnes BA, Witten TM. How Long Must Humans Live? Journals of Gerontology: Biological Sciences. 2014 August 69 (8), pp 965-970. Edsberg, Langemo, Baharestani et al. Unavoidable Pressure Injury: State of the Science and Consensus Outcomes. Journal of Wound Ostomy Continence Nursing July/August 2014 – Volume 41 – Issue 4, pp 313-334.